I must confess to an indecent level of excitement in anticipating the arrival of Forced Entertainment’s new show (I use the word hesitantly) at the Soho Theatre in London next month. The company’s blurb promise “haunted wildernesses, backstreets and bewildering funfairs”, a night so intense that stars themselves hide. It’s going to be fun. 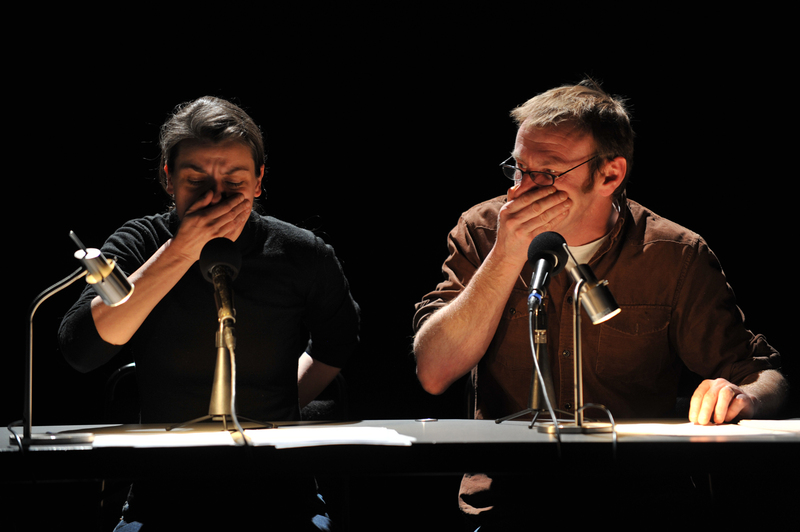 If most theatre is about creating the necessary disbelief to summon the story it is telling into being, then Tim Etchells and Forced Entertainment’s is no ordinary theatre. I’ve found them in strange places over the years: a wintry attic by the Thames engaged in a seemingly endless question-and-answer game; I’ve heard them confess to genocide and reading each other’s diaries; and on at least two occasions, they have predicted my death and those of many of others who’d attended First Night (2001), a piece of dark entertainment that naughtily masqueraded as a vaudeville show. In Bloody Mess (2004), I’ve seen them summon up the beginning – and the end – of the world, a process that involved disco dancing and naked men discussing types of silence; and a manic woman in a cheap gorilla suit pelting the audience with sweets and popcorn. True, most people don’t go for a night out to be reminded of the inevitable, and the cod fortune-telling of First Night is met with gales of uneasy laughter. But in this Sheffield-based group’s carefully controlled pandemonium and dangerous humours, there is a strange complicity with the audience. Something strong is shared when the screen of traditional narrative structures is dispensed with. Watching Quizoola! (1996) one Saturday afternoon in 2001 in that rain-sodden attic, I felt like I’d arrived at the end of the world; and when the last light was turned off in Bloody Mess, the sudden loss was overwhelming. John Avery has written a sparse and atmospheric score that haunts Void Story all the more. In these surreal and decentered times, what could be more suitable than this bleak cautionary tale. I am indebted to Le Beau Vice for alerting me to the death on 9 March of Hanne Darboven (1941-2009), the Hamburg-based conceptual artist known best known for her visual work. Neither Darboven’s foundation nor a lengthy obituary in the Süddeutsche Zeitung (14 March) mention the cause of death. She was 67. 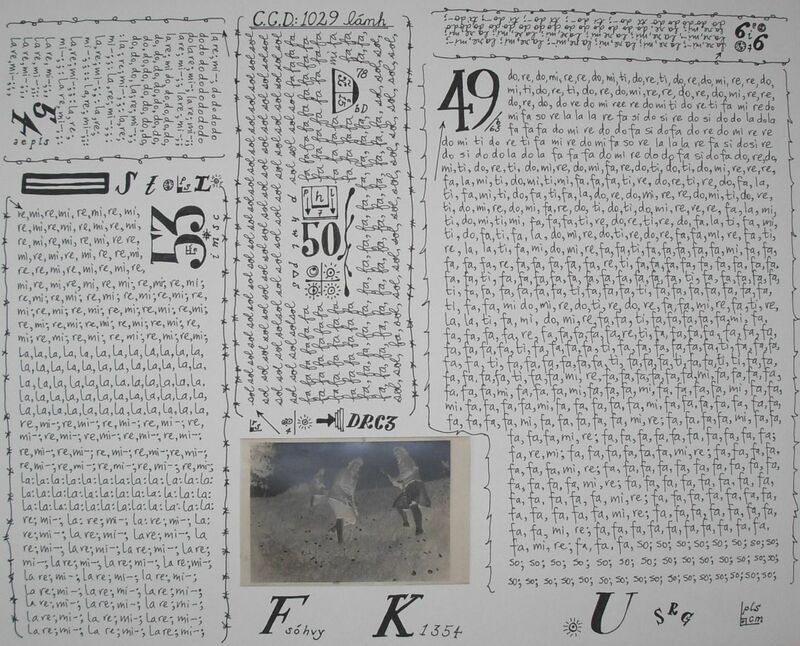 Although Darboven’s work has been taken into collections worldwide, there’s has also been a corresponding neglect, at least in the English-speaking world, of the significance and range – in all its historic, aesthetic and political manifestations – of her work. Certainly there are honourable exceptions – one being Dan Adler’s volume on Darboven’s vast installation, Cultural History 1880-1983 (1980-83), that has recently been published by Afterall Books – but these are few. More likely the reason for Darboven’s comparative neglect lies in the two aspects of her work: its vastness (warehouses were filled to their rafters with writings, pictures, found objects) and also its interdisciplinary nature. She did too much. Darboven, who had originally considered a career as a pianist before entering art school in Hamburg, was an artist for whom the production, the creation of that-which-was-outside-of-her, was both akin to living as well as a defence against a state of non-creation, that is, death. “We write so we are,” she once said – this in reference to the graphic works produced during her Schreibzeit (1975-80), a period of literally (pun intended) writing. There is something overwhelming about her work, and something also quite heroic. And in amongst all her assemblages, it’s Darboven’s work as a composer that been missed. Certainly while living New York in between 1966-68, she experienced the work of the minimalists as work that cut across disciplines with formidable élan. The collaborations of the period are well known – Philip Glass was at one time Richard Serra’s welder, for example. Charlemagne Palestine was known more for performance than performing. If it was this milieu that helped shape Darboven’s sense of how art could be manifest, it is possible that it was also an atmosphere that proposed systematic art. Although what’s come to be understood as minimalist music was, in many ways, a reaction against the limitations of twelve-tone composition, they had a discursive shape – one thinks of the inversions of form that characterises Glass’ early works. For Darboven, whose work was to develop its own way of devising systems – in a way that both played with order and hinted at its polar opposite – to involve herself in music was an obvious route. Just as she translated dates into numbers, so she turned numbers into music. 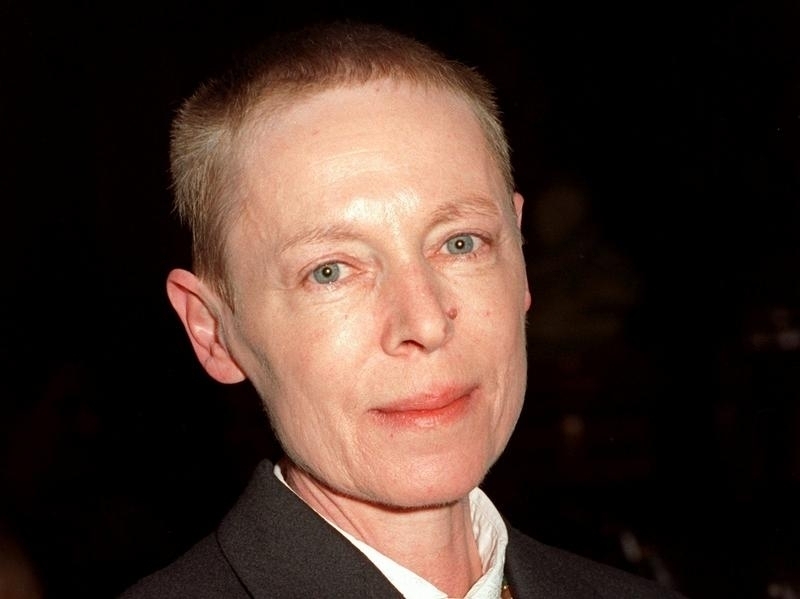 Neglect is nothing new in the art world, but Darboven’s death is sad not least because it comes just at the point when younger artists, such as the Irish composer Jennifer Walshe, are discovering the German artist’s offer of freedom for themselves. In her recent Grúpat show at the Project Arts Centre in Dublin, Walshe staged a group show for nine artists – actually aspects of herself – and let them run riot. They created votaries, their own instruments, garden sheds and always musical scores – made from stones, string, drawings – and soundworks. In Grúpat’s over-determined universe, there was much that was playful, but there was also a deadly serious attempt to describe the world and the networks it throws up. And that is straight out of Hanne Darboven. Reluctant as I am to toot my own trumpet, it’s sometimes nice to have a tune with which to do so. My first proper book – The No-Nonsense Guide to World Music – is to be published by New Internationalist on 1 April, a very appropriate date. I’m very proud that David Toop has written the foreword.